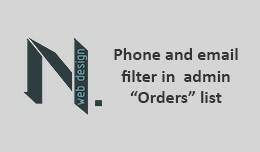 Telephone and e-mail filter in Admin -> Sales -> Orders (Order list) Find your customer orders faster and more convenient This extension will help you search in orders, by adding phone and mail filter to the order list. Features: - Phone.. 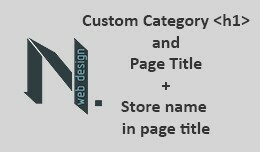 Custom category title field in admin + Add your store name to page title. Boost your organic search traffic! This extension will help you for the SEO optimization of your store. One of the most important things for google is your and title..
Category SEO Custom Category Title H1 + Store na..